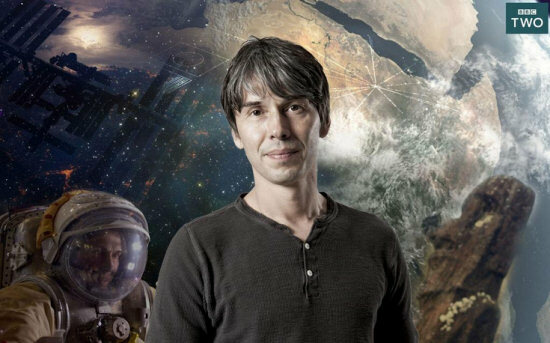 More good stuff on the British television fall schedule – the first air date for Brian Cox’ new science series Human Universe has been announced by the BBC on Twitter and on the Program’s website for Tuesday October 7th at 21:00 British time on BBC2. The five-part series, which was filmed over the course of the year, will tackle the question how humanity became what it is today. Brian Cox has frequently been dropping hints about the shooting of the series on his website Apollo’s Children and on his Twitter stream like posting photos from the Soyuz landing in the snowy Kazakhstan steppe this March. Like his previous three series, Wonders of the Solar System, Wonders of the Universe and Wonders of Life (of which I wrote a full review here), this is going to be fascinating to watch and not to be missed. Okay, fingers on buzzers everyone, I’ve just noticed that Stephen Fry’s and John Llody’s amazing television quiz show QI is returning soon! This year it’s a bit later than usual, but starting on Friday, October 3rd at 22:00 GMT / 23:00 CEST the twelfth series with the letter L is going to start broadcasting on BBC2. As in previous years, the half-hour versions will apparently be shown on Fridays and the 45-minute XL edits will follow on Sundays. Wikipedia already has a preliminary episode list and judging from the guests it should be again a lot of fun even for the 12th time. You can read more about QI on the official website, the Facebook-Page and the Twitter-Stream. Since this spring there has also been the podcast No Such Thing as a Fish by the QI research elves which already has spawned 25 episodes and is an amazing audio companion for the series. The QI radio sister series Museum of Curiosity will also be back this fall with more episodes on Radio 4 with John Lloyd and his new co-host Phil Jupitus, but no air dates have been announced yet, so keep watching their Curiositwitty stream!